Anna Emerson needs a getaway. She is a 30 year old English teacher in a stalled relationship. Before she makes a huge decision she jumps at the chance for a real adventure. She accepts an offer that will get her out of Chicago for the entire summer. She will be tutoring 16 year old T.J. on a beautiful tropical island. T.J. Callahan has been battling cancer but it is now in remission. It is completely his parents desire to spend the summer in the Maldives. They think away from his friends, with a tutor, he can catch up on the classwork he missed last year so he will not be held back. He would rather stay in Illinois with his friends. He talks his parents into letting him stay home until after a friend’s party. His parents fly ahead and he will fly over with his tutor. Anna and T.J. board a private plane for the final leg of their trip to the Callahan summer home. Then the unthinkable happens. While flying over the 1200 Maldives’ islands the plane crashes in the Indian Ocean. They make it to the shore of one of the small uninhabited islands. They just need to survive until someone finds them. When weeks, turn to months, their challenges mount. T.J. is growing into a man right before Anna’s eyes. Food, fire and water are not the only challenges they face. Masterfully written! A beautiful story of so much more than mere survival. A truly wonderful debut. Tracey Garvis Graves took what could have been a tricky story line and created a awesome book. The characters are real and each are at a type of crossroads in their lives. The land on the island as strangers and quickly become best friends long before they fall in love. They need each other to survive but the relationship evolves a little more with each passing day. The author is written with each chapter alternating the point of view between Anna and T.J. which allows the reader into each of their thoughts. It didn’t take long to become engaged in their story. Life On the Island was far from ideal. Dealing from basic survival like building a fire, catching a fish, collecting rain water to drink and hoping each and every day to be rescued. Need a beach read this summer, this is it! It is a New York Times Bestseller for a reason. Tracey Garvis Graves is a new author to watch! I cannot wait to read more of her work!! Author of the USA Today, Wall Street Journal, and New York Times bestseller On the Island. She likes reading, writing, martinis, karaoke, 70’s music, my dog Chloe, my kids, my husband Dave, wine, and my suburban neighborhood. Check out her website http://www.traceygarvisgraves.com/. Looks like she has a new book coming out in the Spring! This is such an extraordinary story I just have to share it as soon as possible! I will be giving away my gently read review copy. Winners will be notified by email and announced in the sidebar of this blog. I just came across your site, when I happened to catch one of your tweets. I love the site and will be back often to visit …. nice to ‘meet’ you! 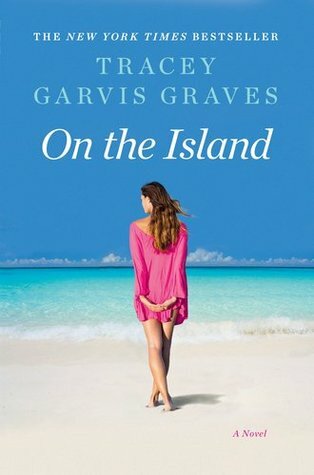 As a summer read ‘On The Island’ sounds fantastic, easy going and just what you need when on holiday. As a serious novel, I am not quite so sure that I would be rushing out to buy the book. The storyline seems a little far-fetched and weak. I have added it to my list though, as I wouldn’t mind checking it out sometime. This book sounds great. Thanks for sharing your copy! I agree with you Dolly~ this could be a tricky story line to write.Your comments ,however, have led me to really want to read this book! I want to see how the characters deal with the crash and aftermath. Thanks for giving away your copy. I was so pleasantly surprised by this book! I had some tiny little issues with it (hardly anything really), but on the whole it was such a fast and fun read. This book sounds very interesting; I’d love to read it! Sounds like a different sort of read; thanks for the chance to win a ciopy! I absolutely love to read survival stories, whether real or fictional. This book sounds so intriguing. I’d love to win a copy. Thanks for the chance.